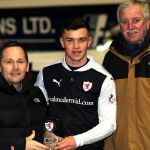 Raith Rovers unbeaten sequence continued at Stark’s Park this evening, but they failed to capitalise on an early lead against Ayr United, as an excellent Gary Harkins free-kick, saw the away side deservedly take a point west. With creativity an issue during Saturday’s 0-0 draw with Dumbarton, manager Gary Locke made two changes to the personnel, with two of the weekend’s cameo performers granted starting berths. Jordan Thompson and Chris Johnston dropped to the bench, with Joel Coustrain and Scott Roberts taking their places. Coustrain started on the right, allowing Ross Matthews to move inside, while Roberts began proceedings on the left of midfield. The opening moments were punctuated by players slipping and sliding, with Paul Cairney ending up on his backside in the middle of the park, allowing Mark Stewart to pick up the pieces and hit on the break. However, despite the quick break looking on, play was eventually slowed down, and while Ross Callachan eventually got a sniff of goal, the away side had regrouped and the chance was blocked. It wasn’t just Ayr players who were struggling with their footing though, and when Matthews found the underfoot conditions an issue, Gary Harkins was quick to nip in. He eventually teed up Craig McGuffie, but his rising shot was never in danger of troubling Kevin Cuthbert. Declan McManus then saw his run at goal impeded by Conrad Balatoni after 14 minutes, but McManus elected to take the free-kick himself, he succeeded only in clattering some seats in the vacant McDermid Stand. The deadlock was broken just two minutes later though, by one of the players who had just been brought into the line-up, Joel Coustrain. A melee in the Ayr area could only be cleared to the right, where the Irishman picked up possession and cut inside. His effort from 22-yards out may have been deflected, but it left goalkeeper, Greg Fleming stranded as it swerved to his right and into the net. Bouyed by the goal, Coustrain was in the thick of it again as Rovers pushed for a quickfire second, and he was brought down just outside the box, as he shaped to shoot in the 21st minute. 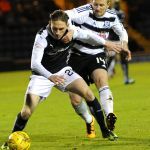 Kevin McHattie was charged with the task of taking the free-kick, and his effort whistled past the junction of crossbar and post, with Raith inches away from doubling their advantage. Whilst Ayr’s attacks were infrequent, they were looking incisive. One such foray after half an hour ended up with McGuffie taking a corner kick, with his vicious in-swinging effort appearing to be dipping in, but for the intervention of Cuthbert, who managed to tip it onto the bar. However, the make up of the game was completely altered in the 38th minute, when Kyle Benedictus was dismissed for his second yellow card. Having already been booked for dissent, the defender had to time his sliding challenge on a sprinting Nicky Devlin just right. Unfortunately however, he got it all wrong, taking Devlin out the game, and leaving referee Craig Charleston with little option but to brandish the red-card. That prompted a reshuffle, with Matthews going to right back, Ian Davidson to centre-half, and Jordan Thompson coming on for Mark Stewart as McManus got ready to plough a loan furrow up front. The remainder of the half saw Rovers understandably sitting deep, but it made for some uncomfortable viewing, suggesting the second-half could be a long evening. Rovers were probably going to have to ride their luck in the second period, and they gained a huge slice of it in opening few moments. Rab Crawford played in Devlin who ran around the back of McHattie, and his ball across the face of goal was somehow knocked over the bar from just couple of yards out by Kevin Nisbet. It was an incredible let-off, and while Rovers saw out the early part of the half, they spent the bulk of it camped inside their own penalty area, while the lack of an out ball meant it came back again and again. However, the momentum of the match swung again, when Aye found themselves down to ten men too. A rare break away saw Callachan haring down the right, a run which was crudely interrupted by Paul Cairney, who was awarded a straight red card for his wild lunge. 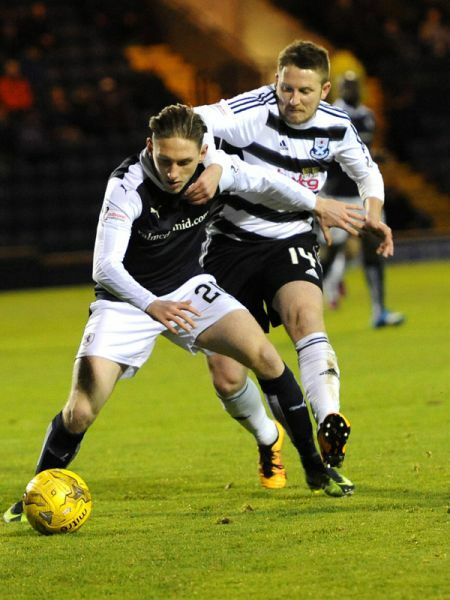 It was felt at that stage that the decision would even things up, but Ayr were still the team pressing the issue, with Harkins and Devlin dictating proceedings, while Raith were continuing to be wasteful in possession. Harkins pass to McGuffie saw him get to the bye-line, but with options in the centre, he thumped his effort into the side netting. With 25 minutes left, Rudi Skacel replaced the goal scorer Coustrain, as Locke looked to wrest momentum from the away team, and a few moments later he made the final swap, removing Roberts and bringing on Chris Johnston. 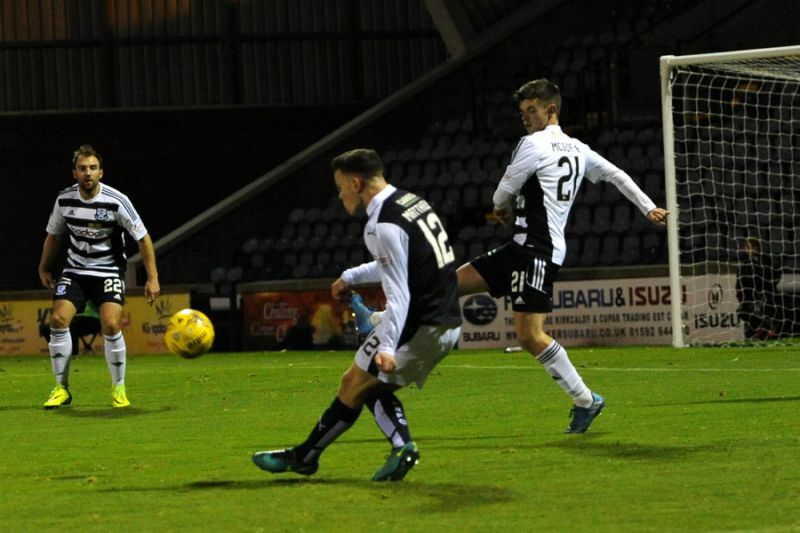 The alterations made little difference though, as the game continued in the same manner, with Ayr looking far likelier to grab an equaliser than Raith were to extend the advantage. Jean-Yves M’Voto and Kevin Cuthbert somehow contrived to deny substitute Alan Forrest a shooting chance with around quarter-of-an-hour remaining, and while McManus tested Fleming up at the other end, the respite was fairly fleeting. 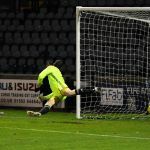 Mike Rose, should have done better from the edge of the area, although his shot appeared to be deflected wide, but the equaliser which Ayr richly deserved eventually arrived in the 87th minute. 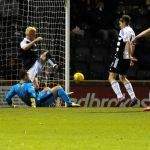 There seemed a sense of inevitability when McHattie fouled Harkins 22-yards from goal, and the Ayr playmaker demonstrated why, dusting himself down and dispatching the free-kick around the wall and into the net. Both sides had half chances to win it in the closing moments, but neither were able to grasp a vital late winner. 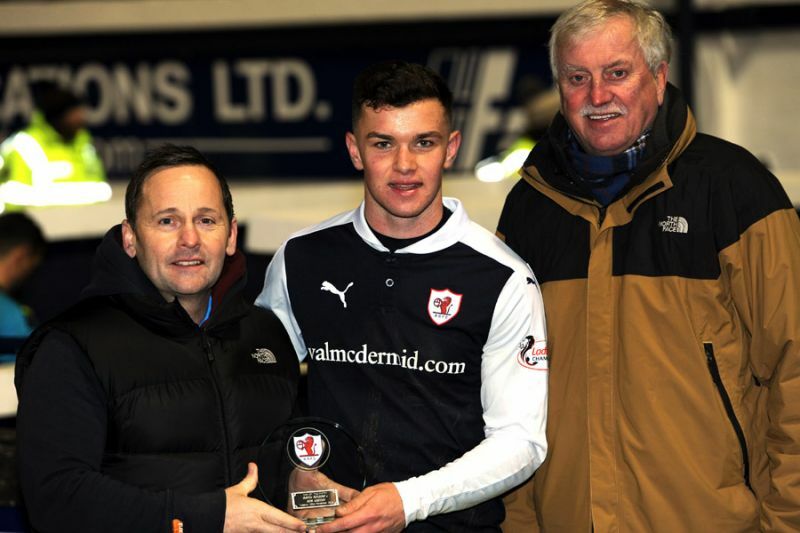 Raith’s next match will be on Saturday the 3rd of December, when Morton are the visitors to Stark’s Park. Sparse crowd as expected on a bitterly cold evening. But conditions are good other than the temperature! Great play by Joel to start the move, when it eventually broke to him again he smashed a dipping shot into the far corner of the net! Davidson has moved to the middle, Matthews to right back. Thompson has replaced Stewart. Well deserved lead, but the second half is going to be a lot tougher with ten men. Utter madness from Benedictus. Horrendous miss by Nisbett, Cairney played a beautiful ball across goal which only needed tapped in. He skied it. Cairney shown a straight red for a horrendous tackle on Callachan. Not dissimilar to Benedictus's, but higher and nowhere near the ball. Callachan lucky not to be hurt there. After Saturday’s 0-0 draw at Dumbarton, Rovers can move back above Morton and into third place in the Championship table on Tuesday evening, if they can overcome Ian McCall’s Ayr United side at Stark’s Park. Whilst scoring goals has become harder for Rovers in recent weeks, they’ve remained unbeaten in their last five matches due to their excellent defensive record, while Ayr have lost their last three, since a 1-0 win over Queen of the South in October. If Ayr are to leave Kirkcaldy with all three points, they’ll need to overcome a Rovers team with an impressive home record, with only Rangers, Alloa and Falkirk able to register an away win at Stark’s Park in 2016. 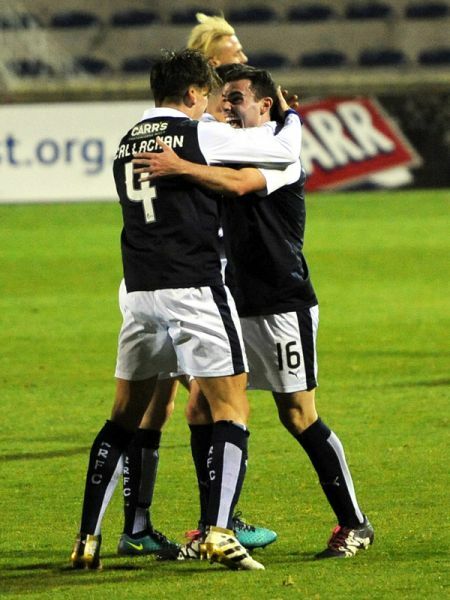 That said, it’s been a long time since Raith managed a home win against Ayr, 2008 to be exact, when goals from Gary Wales, Kevin Smith and a last-minute Graeme Weir winner pulled off a 3-2 victory. Tuesday night’s match will be the club’s second meeting of the season, with the other producing a 2-0 win for Raith on the opening day of the season. Ross Callachan opened the scoring in the first period, before Ross Matthews made it two in the second. Since then however, Ian McCall has made moves to strengthen the Honest Men’s squad, with Gary Harkins joining after his release from Dundee, while ex-Kilmarnock and Partick Thistle defender Conrad Balatoni has brought an increased rigidity to the back-line. Despite that result in August, Rovers have a poor recent record in this fixture, with just two wins and four draws from the last ten meetings. Tuesday night’s match referee will be Craig Charleston.